Horror is a vast genre that encompasses a wide variety of sub-topics and thus it is difficult to whittle down such a large volume of films to a few personal favourites. Therefore, rather than pick five horror films of similar ilk, I have decided to select five different styles of horror film. Of the five, some will have similar characteristics, whilst others will not — that is just the nature of horror — but this way I have at least attempted to vary each pick. I would also like to mention that I’m fairly new to the horror craze having not really been attracted to the genre before 2010. But everything is well now, I have seen the light. Or dark, I guess. 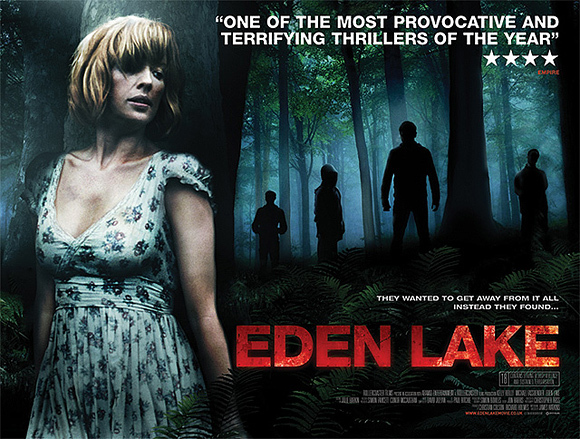 Eden Lake is a British horror film released in 2008 starring Kelly Reilly and Michael Fassbender as a couple seeking a peaceful, idyllic retreat. After settling in Eden Lake in the English countryside, their hopes for a relaxing break are quickly dashed when a group of unruly, violent youths decide to interfere. This was filmed and released before Fassbender had really hit the big time and both his performance alongside Kelly Reilly’s (who recently starred in Flight with Denzel Washington) are one of the two reasons behind the success of this film. Not only are their performances convincing — which is often lost in horror — they are also harrowing, and this correlates nicely with the second proponent of this film’s success: it really is a horrifying watch. Rather than relying on scares, director James Watkins focuses on realism — even though the events of this film are somewhat rare, their depiction is realistic and they unfortunately do occur. The horror is delivered through the authentic nature of the film and, as a result, it is often an agonising and disturbing watch. Although it is gory at times, the gore is not over the top and did not take my focus away from the film, which again can be a detriment to some horror outings. This is the kind of horror that gets to me most, when the events happening throughout the film are not illogical or far-fetched, but instead plausible, and that is what Eden Lake is all about. From the realistic to the highly unrealistic, 2004 delivered the beginnings of the gruesome, and eventually repetitive, Saw franchise. 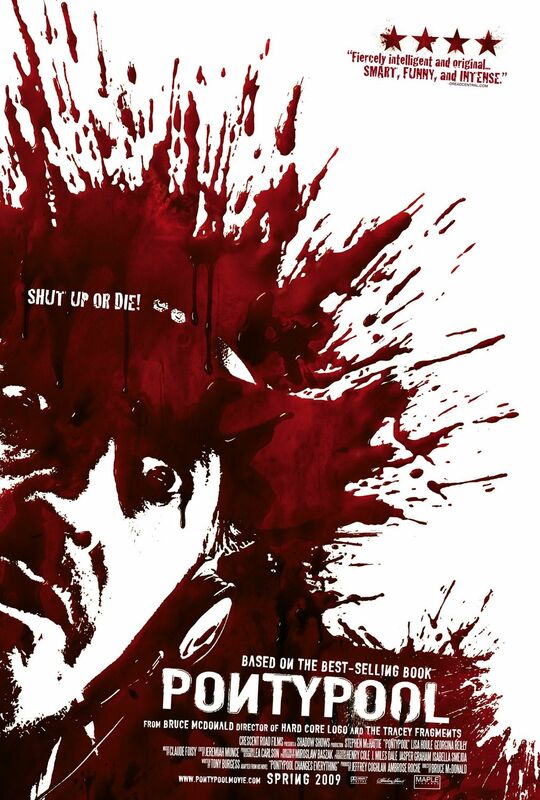 Although the Saw films did in the end amount to gore and nothing else, the original Saw — filmed independently before being swept up by Lionsgate — was not only intriguing and encapsulating, it was also smart. That is correct, a smart horror film — they do actually exist. I do not think I need to outline the plot of Saw as I imagine most people who are reading this are already aware of the premise (two men stuck in a room: how did they get there, who put them there, what have they got in common? and so on). All I will say is that this is a prime example of a horror film that can appeal to both fans of blood and guts and also to those who want more of a challenge when watching a film. It is without doubt a shame that the later additions to the franchise were so disappointing, but at the end of the day those films all stemmed from the success of the first — so I cannot complain really. Not as gory as the later films, but far more intelligent and gripping, director James Wan has created a genius piece of cinema in regards to Saw. Another British horror film, Triangle, directed by Christopher Smith and starring Melissa George and Liam Hemsworth, is of psychological descent. Released in 2009, the film follows Melissa George and a group of friends who get caught up in an electrical storm while on a boat trip. Fearing for their lives, they spot an oncoming cruise ship and climb on board… but all is not what it seems. I had never heard of Triangle before I was recommended it by a friend — it was not commercially successful at all, grossing around a measly £260,000 on its opening weekend. I can only attribute this to a lack of publicity for the film or not enough people knowing about Triangle, because critically it was lauded. Melissa George is tremendous as the lead and the likes of Liam Hemsworth solidly support her. The twist completely caught me off-guard and film as a whole is scary and haunting. Smith manages the psychological aspect of the horror exceptionally well, ensuring the pace of film is upheld and there is no lull in the proceedings. Daring, thought-provoking and creepy — Triangle exemplifies great psychological horror. Billed as one of the most shocking films ever made when it opened in cinemas in 1974, The Texas Chain Saw Massacre is still as scary and intense in the present day. The film follows a group of friends who find themselves being hunted by a family of maniacal cannibals out in rural Texas. Directed by Tobe Hooper and starring a relatively unknown cast at the time, the film was banned in many countries across the world as it was claimed the film was too difficult for audiences to watch. Everything about this film is terrifying: the antagonists, the setting, the atmosphere, and the music all adds up to an extremely chilling and unnerving experience. Perhaps the films’ greatest achievement is hardly using any violence whatsoever to create the horror, but rather forcing the audience into an uncomfortable viewing environment as a result of its consistently edgy plot created by a sense of helplessness the characters feel and the predicament we see them in. Then there is also that scene in the minivan with the hitchhiker — what is going on there? This film has a huge upside in that it is timeless. There have been many remakes, sequels and prequels (Texas Chainsaw splattered cinemas back in January of this year) but the original remains the cornerstone of horror in my opinion. The Texas Chain Saw Massacre has gone on to be revered as one of the greatest horror films ever made and rightly so, it is an excruciating horror classic. For me, the best all-round slasher film ever made is the first Scream film. Directed by horror king Wes Craven and starring Neve Campbell, Courtney Cox and David Arquette, the film is set in the fictional town of Woodbury where a series of violent murders have been committed by an unknown assailant dressed all in black with a “Ghostface” mask on. Scream has it all: scares, laughs, intrigue and cleverness. Released in 1996, it is often credited as the film that revitalised the slasher genre after a massive loss of interest in them throughout the 1980s and early 1990s. Films such as I Know What You Did Last Summer and Urban Legend were born out of this re-emergence of slasher horror due to the success of Scream. The script is witty and jumpy, harping back to old slasher classics like Friday the 13th and Halloween, and even incorporating the ‘rules of horror’ and ‘horror clichés’ in a satirical form. The classic whodunit format plays out both in an engrossing and comedic manner, whilst the cast perform their individual roles very well. One of the greatest upsides of not just Scream, but the franchise as a whole, is the consistency throughout the films. Unlike Saw before where the repetition of plot points became too much as the films progressed, the Scream franchise just about manages to overcome that repetition problem. Although I admit the third instalment gets a little jaded towards the end, the return to Woodbury ten years on in Scream 4 felt fresh — and creepy — once again. The collective Scream franchise is tremendous in my view, but the first Scream film was a resounding success critically, commercially and in every other way. What else can I say: Scream might just top the horror genre for me. The Birds (1963) — How can I write a horror blog post without including the master of suspense, Alfred Hitchcock, in some way? The Birds is just that: full of suspense. The Silence of the Lambs (1991) — The ultra-creepy portrayal of Hannibal Lecter by Anthony Hopkins is one of the scariest performances of all time, not to mention Jodie Foster’s exceptional take on a young FBI agent tasked to take advice from Lecter in order to catch another serial killer. All the Boys Love Mandy Lane (2006) — Though not considered to be anywhere close to one of the best horror films of all time, I was pleasantly surprised by how much I enjoyed this. A group of teens stuck in the middle of nowhere being stalked by a crazy guy — what more do you want? Funny Games (2007) — I have not seen Haneke’s original Austrian version, only the 2007 US remake. If what I am hearing about the original being better is true, I cannot wait to see it because this is harrowing — but in an impressive way. The Cabin in the Woods (2012) — This was the closest of the lot to making into my top five, and maybe it should be there. It divides opinion like Marmite, but The Cabin in the Woods is a highly entertaining horror film with an unbelievable twist. I will say no more. Just watch it. Please feel free to list your top five in the comments section if you wish!